Prepare to be amazed by Kragsyde, an astonishing private waterfront estate set atop a rocky outcropping on Boston’s storied North Shore. 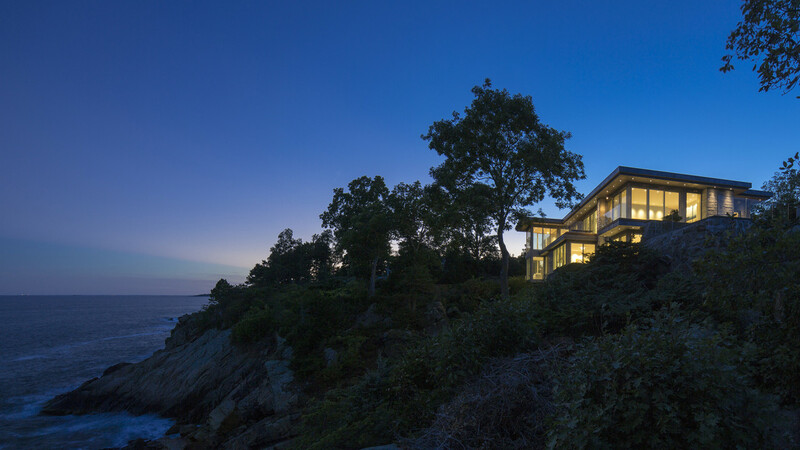 Claiming the preeminent site in the exclusive Smith’s Point neighborhood of Manchester-by-the-Sea, this modern stone and glass eyrie is a spectacular waterfront property that combines uncompromised ocean views with breathtaking modern architecture, contemporary convenience and unsurpassed luxury. Kragsyde has a lineage as distinguished as its location. Its 1880s namesake was among the first of Smith’s Point’s magnificent summer “cottages,” an outstanding Shingle Style home that set the standard for its day. Today, Kragsyde sets a new standard for the 21st century while paying homage to the original vision: It is a house that is substantial, yet natural; imposing, yet blending seamlessly with its site; private, yet open to breathtaking coastal views. Kragsyde reinterprets the concept of a luxury seaside escape through both design and convenience. With interior design by Meichi Peng Design Studio, Kragsyde is available with all furnishings included. This is a house that lives as well as it looks, incorporating glass-fronted balconies in every room, hand-finished yet low-maintenance granite and copper cladding, and systems that can be controlled electronically from anywhere in the world. Throughout, the focused attention to detail and unswerving commitment to quality are clear. It is equally clear that Kragsyde was built for a discerning owner who prefers a private neighborhood, cherishes the natural setting, values design excellence, and seeks a home that is both resoundingly beautiful and eminently livable.